Uzwil (Switzerland), February 1, 2018 – Bühler is building the world’s most advanced coffee processing plant for the Norwegian coffee producer Joh. Johannson. 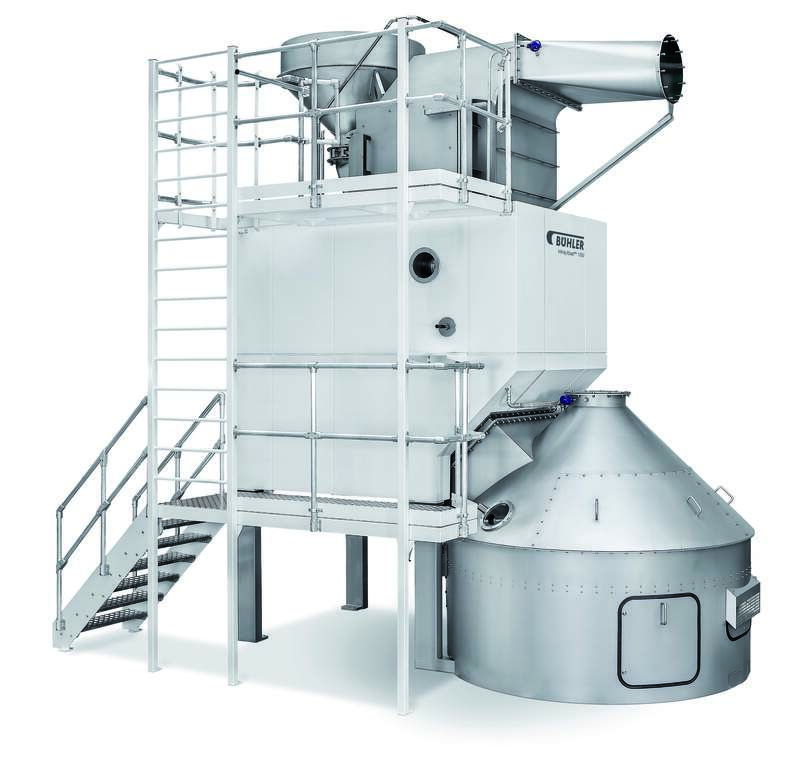 It combines innovative roasting technology with record low greenhouse gas emissions. The coffee roasting biogas is close to carbon neutral, making the processing plant with the lowest emissions globally possible. “With Bühler, we have found a solution partner that fully understands our sustainability concerns and is capable of putting them to practice,” says Espen Gjerde, CEO of Joh. Johannson. “Together with our customer Johannson, we are setting a new eco-standard in the field of coffee production,” says Stefan Schenker, Head of the Bühler Business Unit Coffee Processing. Coffee continues to be a growth market with growth rates of about 3% worldwide. After the considerable efforts of processors to achieve sustainable sourcing of green coffee, the focus is now being increasingly set on the manufacturing process in the coffee factory. This is because this process consumes a lot of energy: A factory with an annual processing capacity of 10,000 tonnes consumes roughly 870 kW – about as much as 100 Norwegian households. Now the Norwegian coffee producer Joh. Johannson has teamed up with Bühler to reverse the trend: In June 2017, Bühler was awarded the contract for building the world’s most efficient climate- and environmental-friendly coffee processing plant. For this low-carbon production plant, Bühler will supply the complete process technology – from green coffee intake to cleaning, blending, roasting, and grinding. For the roasting process, Bühler has fitted its Infinity Roaster with a unique preheating unit and a novel energy recovery system. The system operates on the basis of collecting heat by multiple heat exchangers allowing centralized intermediate storage of the energy released by the process in temperature-stratified water tanks. The energy stored is largely used for powering the same roasting process and preheating of green coffee, but may also be reused – say – for raising the temperature of the incoming cold air. Some of the energy will also be used to heat the offices and laboratories. This technology reduces the energy consumption of the roasting process by 50%, which accounts for as much as 80% of the entire energy consumption. The total balance of electric power required by the factory is covered by huge solar cells. Moreover, the planned facility will boast one of the most advanced off-gas purification units for roasting systems: Regenerative thermal oxidation (RTO) allows smart control of the air currents, which in turn enables heat to be stored and returned to the process. The entire plant is operated by a highly complex, smart, and automated process control system, which measures the product temperature inside the roasting chamber at intervals of a second and fine-tunes the process in the presence of even the slightest changes. This produces maximum profile accuracy, which has a direct impact on the quality consistency of the coffee’s taste and on flexibility. Despite all the company’s sustainability requirements, there is never any compromise for Joh. Johannson when it comes to top quality and the unmistakable taste experience for consumers. With this new processing plant, the company clearly aims to achieve an uncontested market position: “This project stands to boost our competitiveness in the marketplace. The system’s energy consumption, slashed to the absolute minimum, is not only extremely sustainable, but also makes sound business sense. In the processing industries, energy accounts for as much as 10% of the total cost. We are now the world’s sole producer that can offer its customers top-quality coffee that has been produced as environmental- and climate-friendly as possible, with excellent taste,” says Espen Gjerde, CEO of Joh. Johannson. The plant, which is to produce up to 12,000 tonnes of coffee annually, is scheduled to go on stream in mid-2019.